(1) What benefit Investment will give? 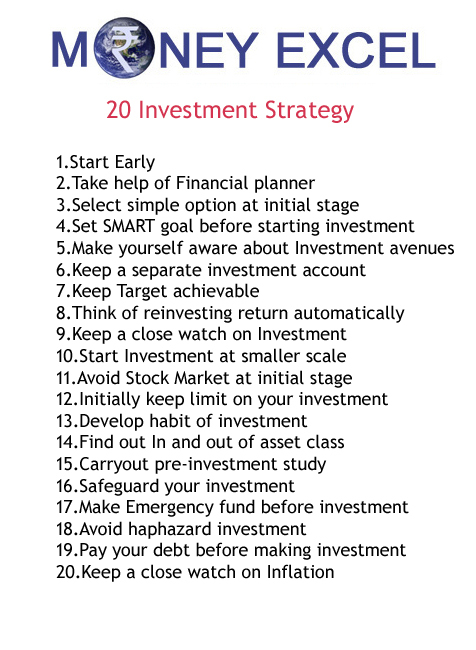 (2) How to do Investment? (3) Why I should do this Investment? You need to work hard and give your time to earn money in any job or business. Similarly Investment management demands work and time to give your good return. But today we want everything urgent. Today every investor think for profit/capital appreciation before doing investment that’s why they ask question in following sequence. But I think we should reverse the sequence of this questions. (1) Why should I invest money? (3) What benefit investment will give? First you need to decide that for what purpose you are investing this money. i.e Goal. Your goal of investment could be retirement, emergency fund, education, health care etc. Second task is to select asset class for investment. You should select this asset class based on various parameters like expected return, investment capacity, future need and your knowledge about this asset class. Now another important question is that what capital gain this investment will give. Answer of this question depends upon selection asset class. Before investing money you should find out expected rate of return. Today it is observed that investors hardly do long-term planning they invest their money blindly just by following tips or advice. They never examine what are the chances of capital appreciation in asset class. This type of investor always suffer badly. 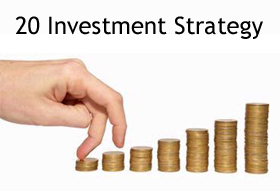 Follow this Investment management strategy and I am sure you will be successful investor.